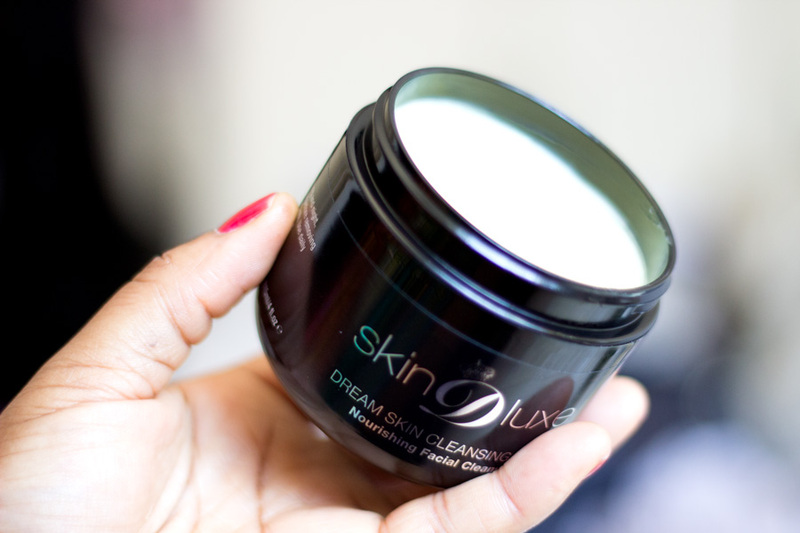 The first thing I do in my skincare routine is to remove my makeup and I use various products but for my pamper session, I chose the Skin D-Luxe Dream Skin Cleansing Melt* from Fake Bake Beauty which I absolutely love. I received this in the goody bag from the Fake Bake Beauty at Home Event I attended and I can't believe how lovely it is. I would have a full review with all details up soon. It removes all my makeup including my eye makeup and I just take it off with warm water or warm water + a flannel. I double cleanse with the La Roche Posay Physiological Cleansing Gel* which I love so much and I have to repurchase it asap. 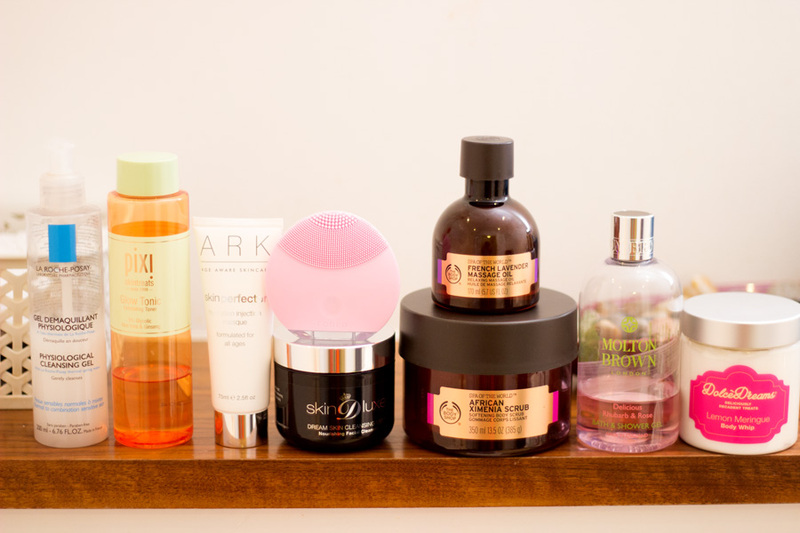 I paired it with my Foreo Luna Mini* which I already spoke about on Monday and together they just makes my skin feel incredibly clean and smooth. The Foreo Luna Mini has made such a massive improvement to my skin and I love it so much. I decided to put on a mask as I was in a pamper mood. I chose the Ark Skin Perfector Hydration Injection Masque* which I have been enjoying these past few weeks. It feels like a balm and it really hugs the skin with a lot of hydration (that's the only way I can describe how it makes my skin feel). I left it on to do its magic while I jumped in the shower. After I showered, I took it off and patted my face dry with my face towel. Next step was using one of my favourite toners- The Pixi Glow Tonic which I have repurchased several times because it just works wonders on my acne-prone skin. It keeps my skin super clear and that marks the end of my cleansing routine. I don't do too much in the shower per say especially when I am tired. I was going to take a bath but I decided a shower would be more invigorating. I am so obsessed with the amazing Body Shop Spa of the World range which I was kindly sent to try out. I started off with the Body Shop Africa Ximenia Scrub* which smells so divine and works so well on my body. I really like the texture as it's not too rough or too soft; it's just the right mix which is perfect for an indulging pamper session. I used it mainly on my elbows and knees where my skin feels a little dry and a little all over my body. I let it sit for a while before rinsing it off and washing my body with my favourite shower gel (currently on its last legs)- The Molton Brown Delicious Rhubarb and Rose Shower* Gel*. I can't wait to repurchase it when it runs out as I have been too spoiled with its lovely fragrance. 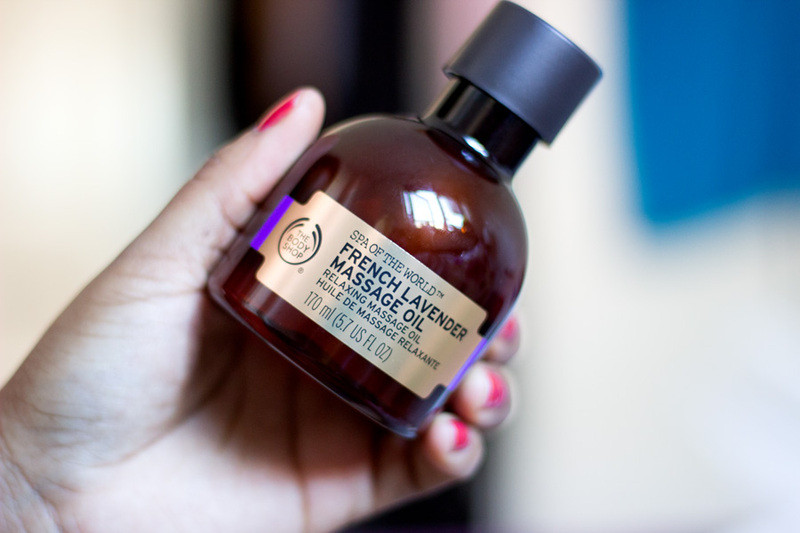 The last step in my body care routine is to use the Body Shop Spa of the World French Lavender Massage Oil* which I apply on my pulse points. I know it is a massage oil but I was really too tired to be massaging myself so I just dabbed this lovely oil on these pulse points including behind my ears. I think this was definitely responsible for making me feel so relaxed.. 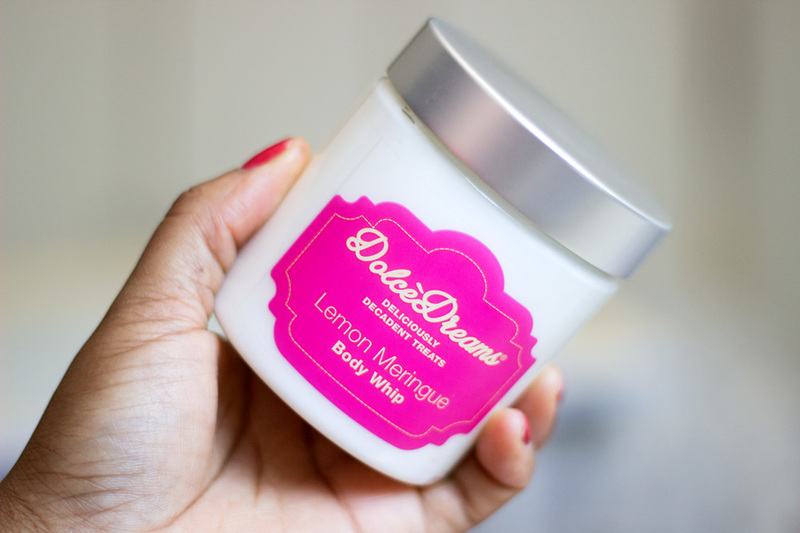 I used the Dolce Dreams Lemon Meringue Body Whip* which I really like because it feels very light and it does not feel greasy at all. It also smells so delicious and the name really befits it. It's another offering from Fake Bake Beauty (I am really impressed with their Beauty range). 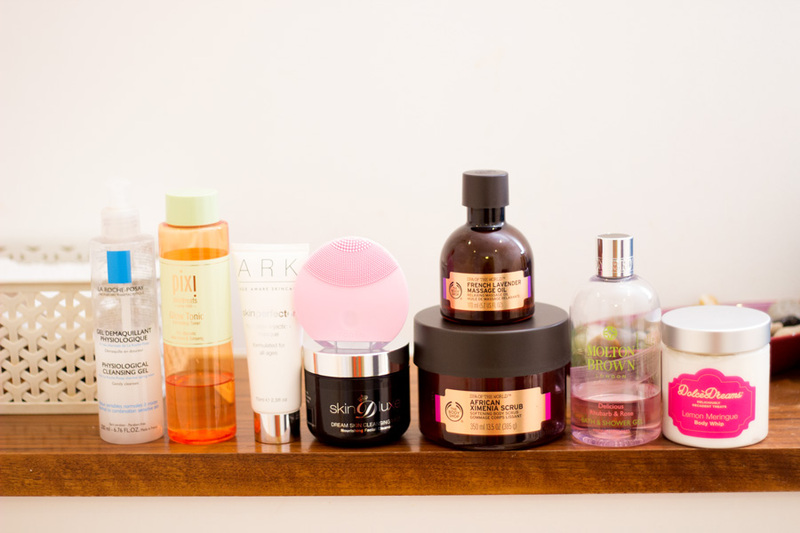 Although I have called this my pamper skincare routine, it's not really too different from my current skincare routine. 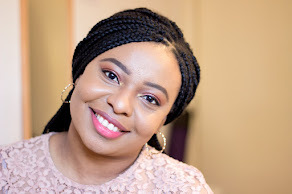 The first thing I always start off with is my eye cream and I am currently loving the L'Oreal Revitalift Eye Cream which I apply with my ring finger. It gets absorbed so easily and I love how it does not unnecessarily sit on top of my skin. Next up is my Vichy Aqualia Thermal Serum* which I have raved about several times. I love it for keeping my skin hydrated and it does an amazing job at it. 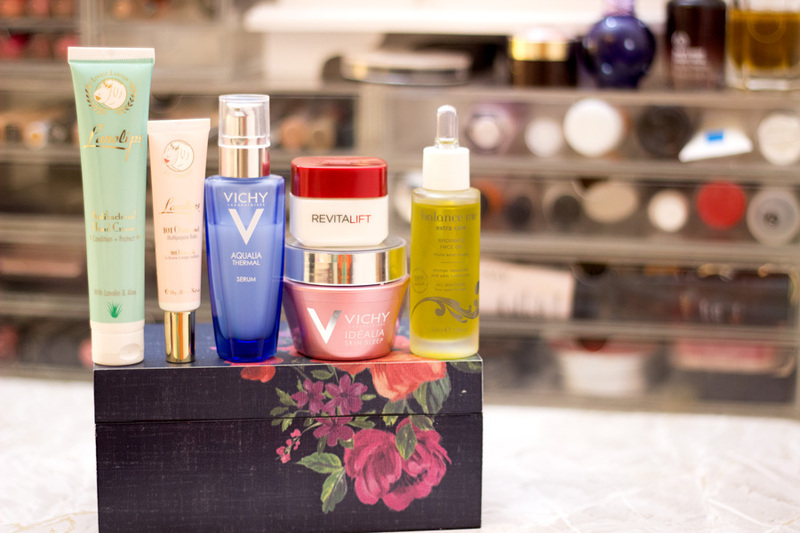 For my night cream, I have really been enjoying the Vichy Idealia Skin Sleep* since this month. 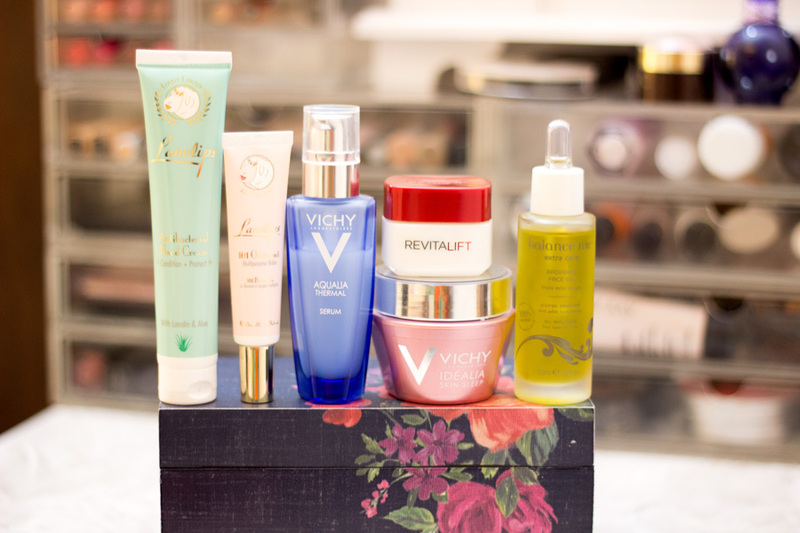 I got this in a goody bag when I attended the #Discover Vichy Event at the beginning of the month. It feels like whipped yoghurt (if there is anything like that) but it's so silky and smooth. A full review will be up soon so I can talk about my experience in more details. 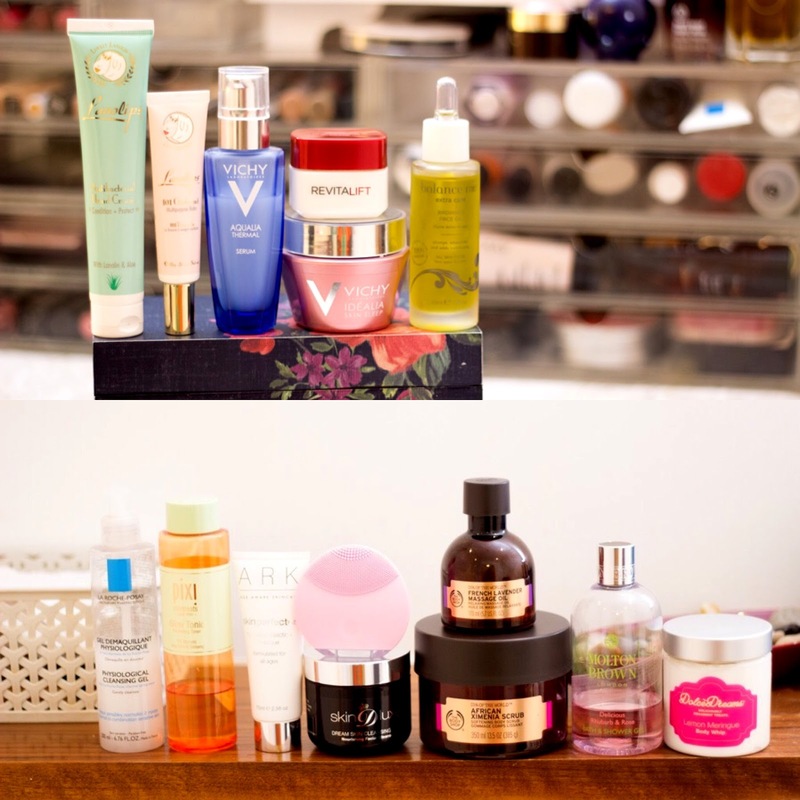 Great pamper routine wth lovely products and brands!